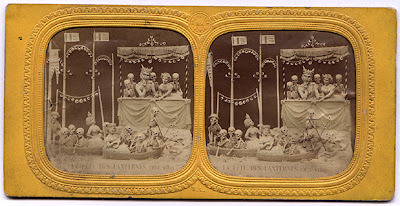 Check out more of these amazing Stereo-Diableries, and learn more about them, at World of Stereoviews and the Early Visual Media website. 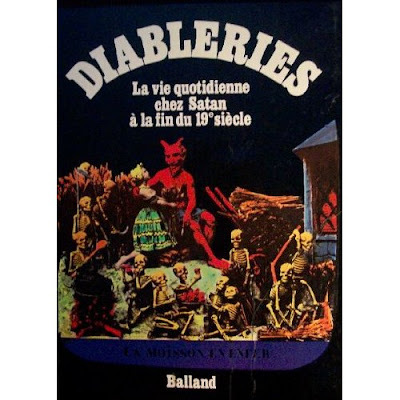 There is also a great, lavishly illustrated (but, sadly, out-of-print and difficult to come by) book on the topic: Diableries: La Vie Quotidienne Chez Satan a la Fin du 19th Siecle. 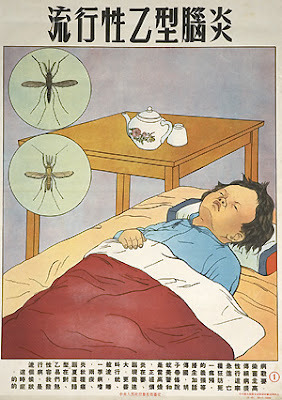 The Wildgoose Memorial Library is a beautiful oasis. 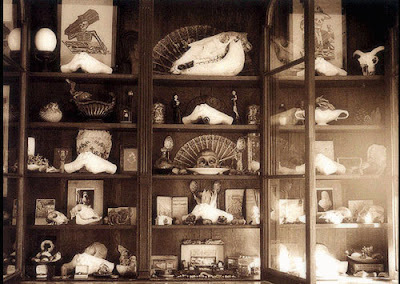 Through a passage, up a staircase, and there you are - in a perfect little cabinet of curiosities. 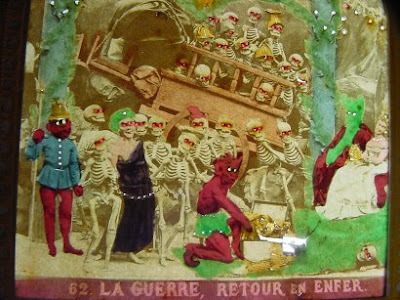 Jane Wildgoose herself is gracious and knowledgeable, and her library is extensive. 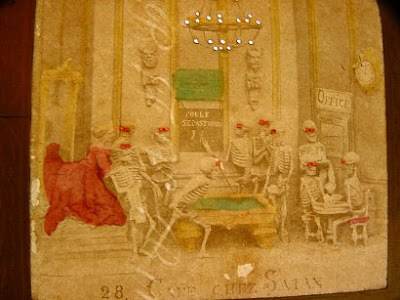 Find out more about this library, which, to quote the webpage, "may be accessed by persons wishing to consult and make free associations on subjects pertaining to the mysteries of the living in relation to the dead, and on memory and immortality" here. 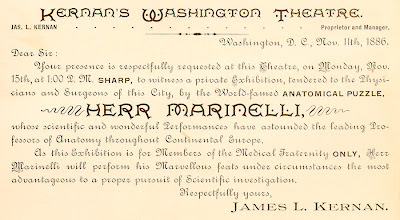 A really wonderful example of the overlap of popular anatomy and theater/spectacle in the 19th Century. 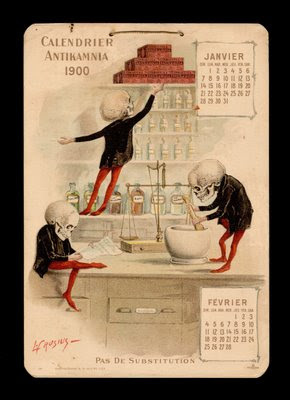 Thanks to Michael Sappol of the National Library of Medicine for sending it along. 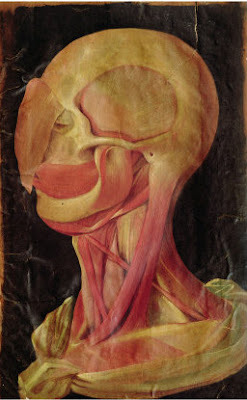 For more on poplular anatomy, check out his piece "Morbid curiosity": The Decline and Fall of the Popular Anatomical Museum on the Common-Place website. 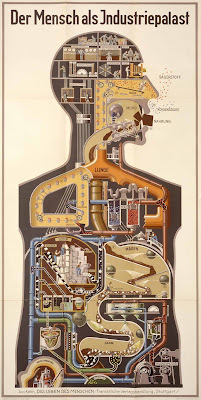 I came across illustrations for John Lizar's publications in the wonderful book Anatomy Acts: How We Come to Know Ourselves. 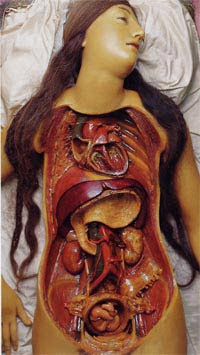 View more of his work on the Anatomy Acts exhibition website and also here and here. 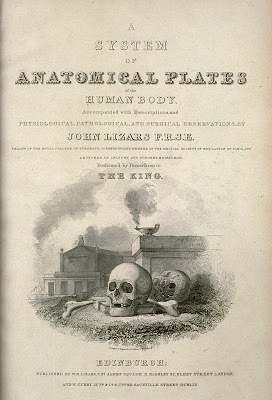 If that's not enough for you, you can download a full PDF of his A System of Anatomical Plates (1822) from the amazing Google Books website. 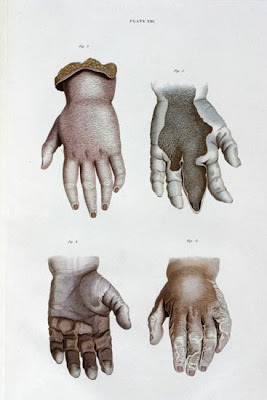 Some wonderful images credited to the Italian anatomist and pioneering embryologist Hieronymus Fabricius ab Aquapendente. 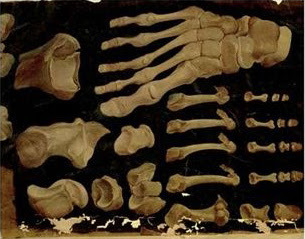 (This is his latin name--there appears to some fluidity regarding the exactitude of his proper name, as I have seen him listed with the first names Girolamo and Geronimo, and the last names Fabrici, Fabrizio, and Fabricius to name just a few iterations). 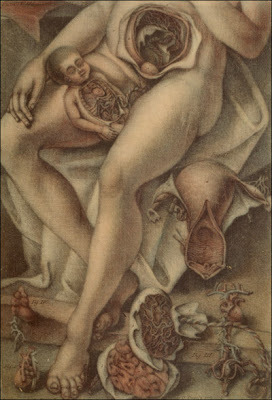 You can find out more about him here, here, and here. 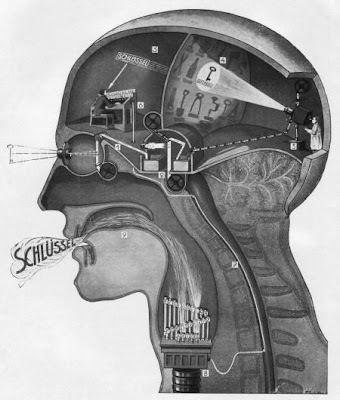 La Specola and Italian Horror Films? 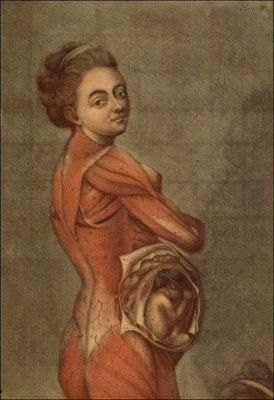 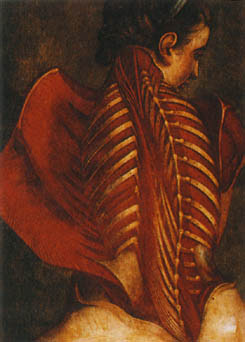 A surpising analysis of a proffered link between the La Specola anatomical models, of Taschen Encyclopaedia Anatomica fame, and horror films, complements of Kinoeye: New Perspectives in European Films. 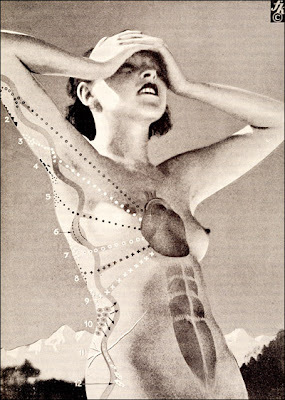 For an industrial-age take on anatomy and the body's inner mysteries, see these images from the workshop of Fritz Kahn. 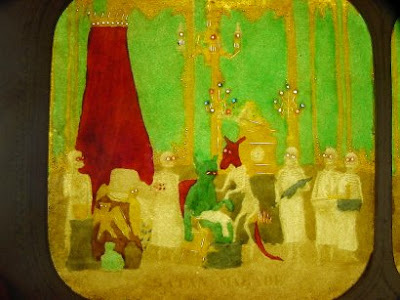 More on him here, here, here, and here. 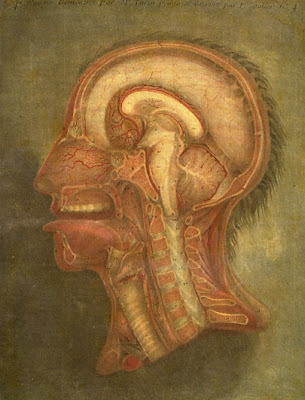 For fun, compare and contrast his cross-section of the head with that of Gautier d'Agoty directly below. 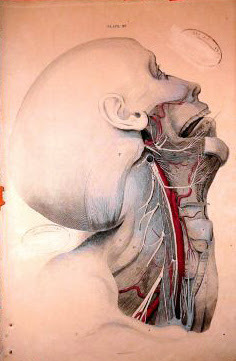 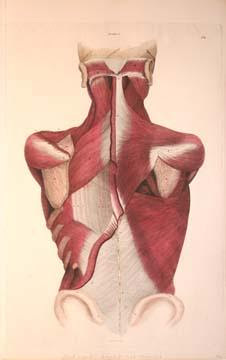 View and download the beautiful work of anatomical illustratior Gautier d'Agoty here, here, and here. 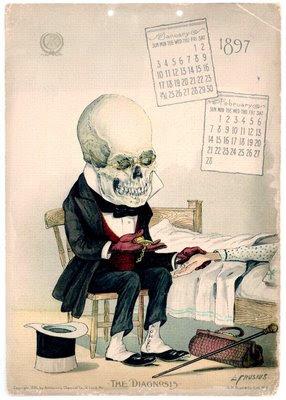 A contemporary riff on the classic 1911 Stereoscopic Skin Clinic, "An Atlas of Diseases of the Skin, Consisting of Color Stereoscopic Illustrations and a Text in the Form of Clinical Lectures, Designed for the use of Practitioners and Students of Medicine." 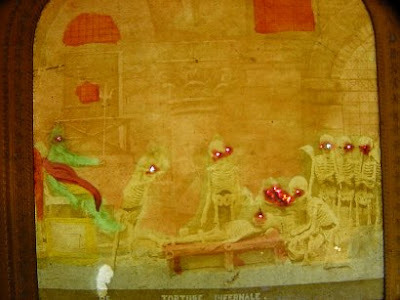 Complements of Rotten.com. 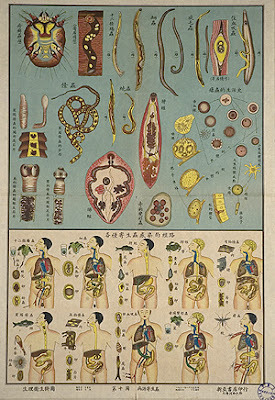 For some great resources on this once-common practice, check out The Paul Frecker Collection, The Kircher Society Website and The Collection of Collections website. 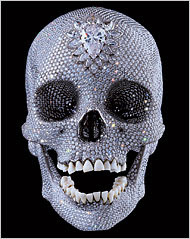 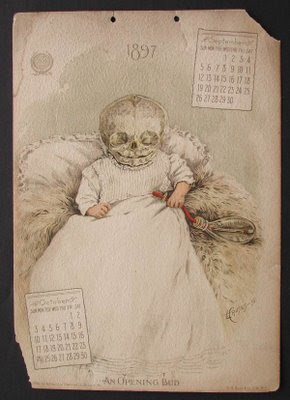 Also, a great piece on the subject by Dan Meinwald called Memento Mori. 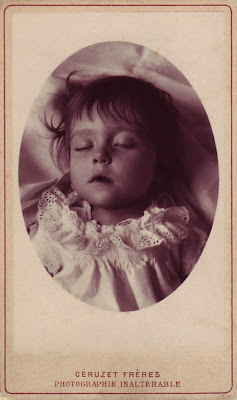 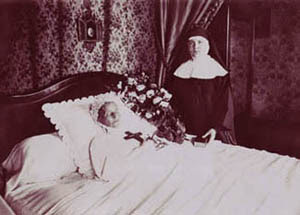 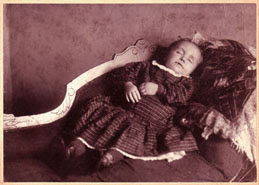 For books on the topic, Stanley Burns' Sleeping Beauty: Memorial Photography in America and its sister volume Sleeping Beauty II: Grief, Bereavement in Memorial Photography American and European Traditions are both excellently written and lavishly illustrated. 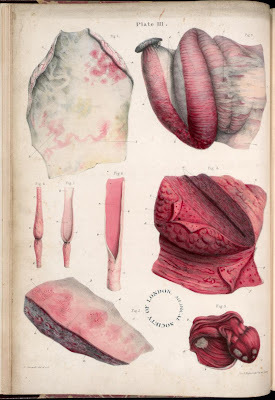 Check out some of Sir Robert Carswell's amazing pathology portraits here, here, and here. 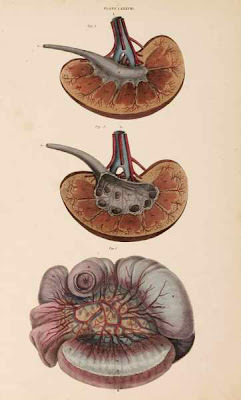 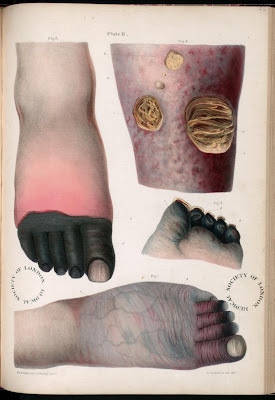 From his 1838 folio Pathological Anatomy: Illustrations of the Elementary Forms of Diseases. 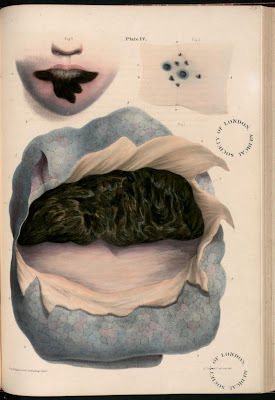 Click here to see the entire post on the wonderful BibliOdyssey site. 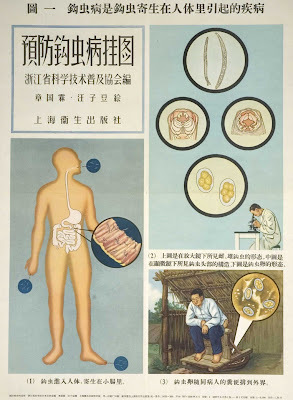 Cool Chinese Public Health Posters on the National Library of Medicine website.